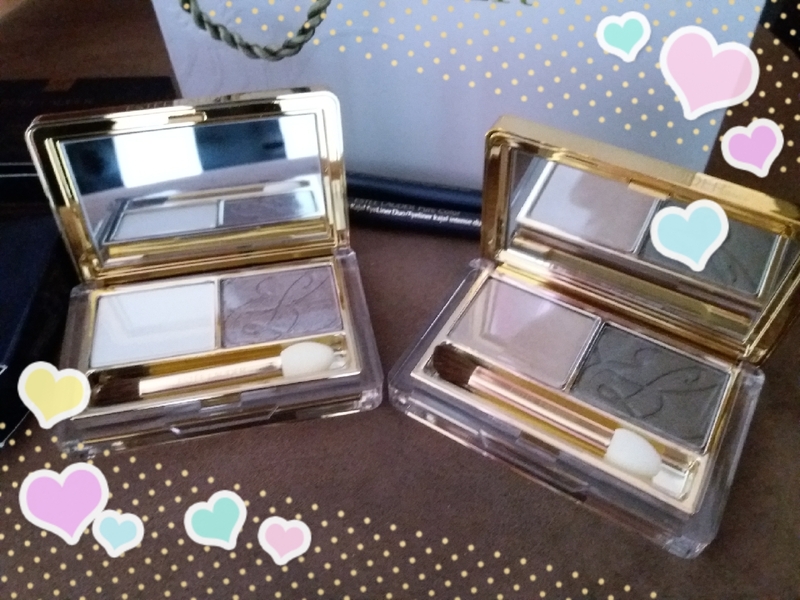 Initally, I bought 2 sets of Estee Lauder Pure Colour Eyeshadow Duo compact and Pure Colour eyeliners, but was so impressed with the Pure Colour Eyeshadows, after trying them on, that I decided to buy another set of eyeshadows and liner. 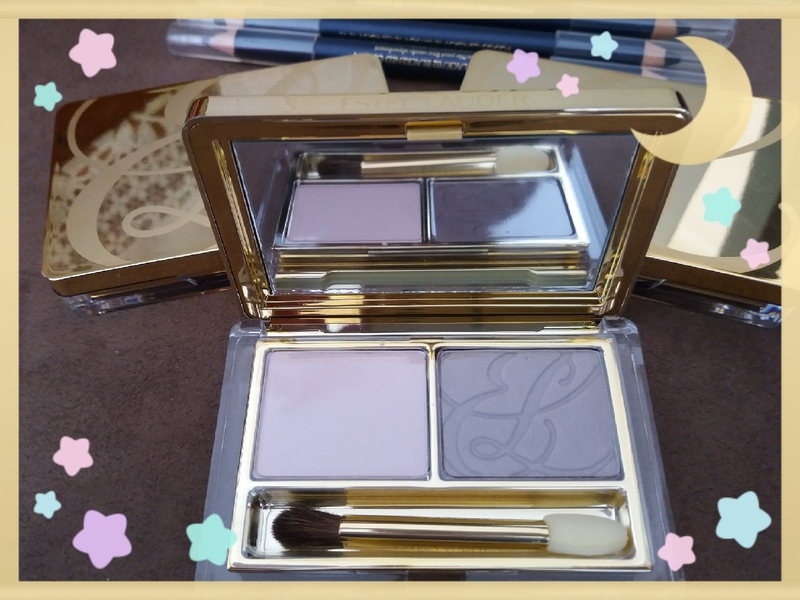 The packaging is well presented, and the actual eyeshadows are enclosed by a nicely designed, sleek, and luxurious looking golden case with a clear base. The case opens up to the duo coloured eyeshadows, including an applicator/brush and a mirror embedded into the lid. Overall: I highly recommend them. The small case, mirror and applicator make the duo eyeshadow compacts easy to carry when travelling. The texture is very smooth and soft. 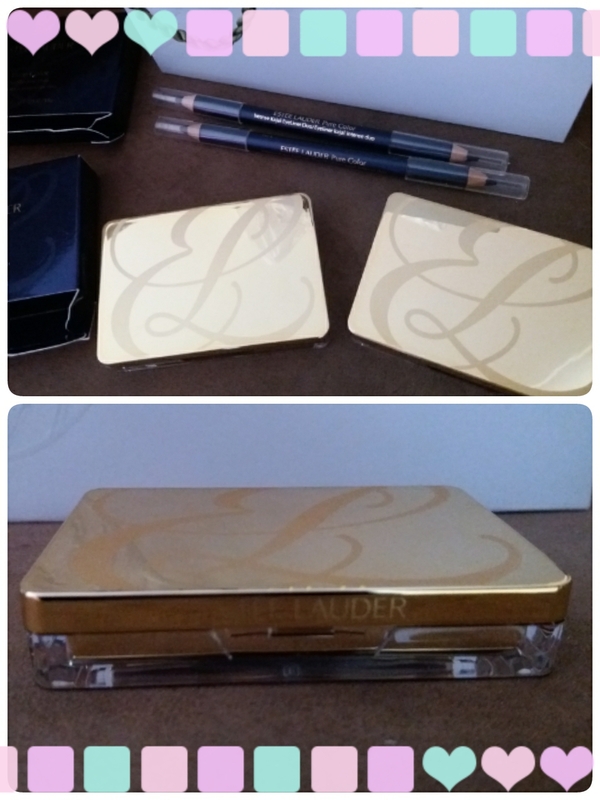 Posted in Commercial Items, Non Food Related and tagged Estee Lauder estee pure colour eyeliner, Estee Lauder eyeliner, Estee Lauder eyeshadow, Estee Lauder haul, Estee Lauder Pure Color Eyeshadow Duo, Estee Lauder Pure Color Eyeshadow Duo review, Estee Lauder Pure Color Eyeshadow Duos, estee lauder pure colour liner, Estee Lauder review, eye shadow review, eyeliner haul, eyeliner review, eyeshadow haul, eyeshadow review, made in u.s.a, made in u.s.a make up, made in usa, made in usa makeup, make up haul, make up review, makeup haul, makeup review, non food, Non Food Related, non food related review, Pure Color Eyeshadow Duo, Pure Color Eyeshadow Duo haul, Pure Color Eyeshadow Duo review, Pure Color Eyeshadow Duos. Bookmark the permalink.